Always be aware of your surroundings. If you’re thinking about reclining your airplane seat, that’s fine, but make sure to check behind you first. It’s possible that the person sitting behind you has things on their tray table that could be broken with the sudden recline of your seat. This almost happened to Matthew, when his laptop became jammed between the tray table and the back of the reclined seat. Egypt has a lot going for it. The safety concerns stemming from its 2011 revolution have been stabilized, a new sphinx has recently been uncovered, new hotels are being built, and a huge museum focused on the Egyptian civilization is about to open. I have always been fascinated with the Egyptian civilization, but have not yet been able to travel there. I hope to make the trip within the next five years, to see the pyramids, Sphinx’s, the Nile River, and experience the culture first hand. Over the past few years, I haven’t felt comfortable enough to travel there due to safety concerns. This article, along with other news has helped ease my worries about traveling to Egypt. I can’t wait to see it all and check it off my bucket list. Next time I go to Hawaii I think I’ll spend at least some of the time at this hotel. With a decent redemption rate through Marriott, this resort is a good deal if using points. I’ve never stayed at this hotel, but have been to Hapuna Beach and enjoy the area. It’s just North of Kona and very near to some amazing beaches on the Big Island of Hawaii. Hopefully, the redemption rate stays the same at this property so that we can get multiple free nights with the Marriott Rewards Premier Plus credit card, SPG credit card (Read more – terms apply), or the SPG Business credit card (Read more – terms apply). They all earn points and free annual nights in the newly merged SPG/Marriott program. Going on an African Safari is one of my top bucket list ideas. They were lucky enough to see a huge assortment of animals on the game reserve in South Africa. When I go on a safari, I’d like it to be in Kenya or Tanzania during the Great Migration. I’d really like to go on a camping safari for a week, even though it’s probably not quite as safe as some other African Safari’s. It would be amazing to be able to see so many exotic animals in their natural habitat. Have you ever visited any of these college towns? Maybe you happen to live in one as I do! I’ve been to three of the cities on the list and live in one of them. I’ve been to Boulder, Charlottesville, and Berkeley. I have lived in Eugene, Oregon for all but one year of my life and will expand on Million Mile Secrets’ explanation. It’s the home of the University of Oregon Ducks, many outdoor activities, breweries, vineyards, running enthusiasts (Track Town USA), and great bike paths. Also, the Oregon Ducks aren’t the only green thing you can legally experience while in the state (if you can read between the lines and you’re into that). Eugene is nestled between the mountains, the Pacific Ocean, rivers, lakes, and the city (Portland). All of which are within a two-hour drive, making this a great place to visit or live! While this is up for debate in the comments of the post, I’d have to agree that traveling with a partner is much more frugal. While flights remain the same per person, hotels and such end up costing the same price no matter how many people are staying with you. For a $100 hotel room, it will cost the full amount for a single traveler, while it will cut the price in half if you’re traveling as a pair. Sometimes my wife and I will save on food as well by sharing plates at a restaurant. Especially when we go somewhere with huge portions and we lack the equipment to save or reheat them. It’s always nice to be able to communicate with friends and family while in the sky. Southwest is rolling out free messaging on their flights and should be done in October. This means you can message whoever is picking you up with an accurate time of when you should be arriving at the airport. Or you can get in on that group chat that you’d normally come back to with hundreds of unread messages. From experience on Alaska’s free messaging, I noticed that it also allows some other apps to work, whether on purpose or not. While I was flying to and from Washington DC this summer I was able to receive updates on Twitter through the free messaging. While we normally stay in a condo in Hawaii, we’ve also stayed in two of these hotels as well as a few others. Hawaii is our favorite destination due to its beauty and ease of travel from the west coast. We typically stay in condos so that we can prepare most of our own meals. But, with these options available using points, we may try booking a hotel for “free” next time. I say “free” with quotations because many of these hotels have resort fees, which you still have to pay on reward stays. I’m not a fan of resort fees. Why should a hotel have a set price for a room and then for no particular reason add another fee to the price? We stayed at the Grand Hyatt Kauai using our free nights through the World of Hyatt credit card. The hotel was in a great location in Poipu and was beautiful. The sand bottom pool was great for relaxing if we didn’t want to make the trek another 100 yards to the beach. It had nice white sand beaches just in front of the property. We even made S’mores one night out near the pools! Another of these hotels that we stayed at was the Hyatt Place Waikiki Beach, which we did not enjoy. It’s a few blocks from Waikiki Beach and in a great location if you like that area. We found the hotel to be pretty run down and not what you’d typically expect from a Hyatt Place Property (they usually have nice chic rooms with the somewhat separated bed and living space with modern shower). Also, we dislike the Waikiki area. The beaches are not nice and it being overcrowded is an understatement. Virtual reality has hit the skies. Alaska Airlines has rolled out VR headsets on a few of their flights. You’re only able to watch a few movies in virtual reality 3D. Fortunately, the films that are on the headsets are only forward facing VR. If not you might have passengers moving all over the place on the plane! I’ve never watched a movie with one of these headsets, but it’s supposed to give the feel of being in the theater. It seems like a good touch for Alaska Airlines. I just hope they wipe off the headsets with sanitizer after each use. If you’re able to travel between September and December you may want to look at going to Iceland. Wow Air currently has tickets on sale for $169 round trip. They fly from quite a few major airports in the US, including a couple on the west coast. The US airports that have this deal available are PIT, EWR, JFK, BWI, BOS, CLE, STL, CVG, DTW, DFW, SFO, & LAX. Free miles. Yes, please! Alaska Airlines is giving away 100,000 miles plus money to cover the taxes that it may incur. It would be pretty nice to have some extra miles. Where would you go if you were to win? I think I would use my Alaska Miles on short-haul flights along the west coast. Good luck if you enter! Since the most popular card for beginners in the points and miles space is the Chase Sapphire Preferred, this will be pretty useful. The blog post shows how to transfer Chase Ultimate Rewards to Airline partners. This is the way to get the most value out of your points, so take notes. I often transfer Chase Ultimate Rewards to British Airways to fly to Hawaii, and to Southwest to take advantage of my Companion Pass status. Personally, I dislike the Seahawks… GO RAIDERS!!! But, in this case, Delta is giving away miles to Washington Residents as part of their 12status promotion. You will earn miles without even flying. They’re giving you a mile for every yard the Seahawks throw for, which should be a few thousand. You will also receive priority boarding. Seems like a good deal for those of you who consider yourselves Seahawks fans… EW! The Points Guy has partnered with United Airlines to raise money for the Make A Wish Foundation. They’re giving away a whopping one million miles to the winner of their raffle. To enter you can donate at least $10. With some of the larger donation amounts, you will receive some swag along with your entries. The article also shows a few ways you could spend your million United miles if you’re the winner. My favorite on the list is number 1, having first-class going all the way around the world. Emily from Million Mile Secrets has put together a list of toys that travel well with children of all ages. She compiled a group of toys for babies, toddlers, and young children of age three or higher. A flight of five hours is a long time to keep your child occupied in a confined space. If you have children, let us know what their favorite toys to bring on the plane are in the comments. I’d love to hear, for future reference! Have you recently had any flights where the flight time seemed extraordinarily long for the distance you were traveling? I definitely have, but didn’t realize why. This article makes complete sense to why airlines would be fluffing the estimated arrival time of your flight. My wife and I actually experienced this on our recent flight from Washington DC (DCA) to Dallas (DAL). Our flight was delayed nearly an hour, but somehow we actually got there before our expected arrival time. I was confused and didn’t think we could have made up that much time in the air. This gimmick would make sense to why we made it to Dallas on time. Have you experienced this yet? Hawaii is due for some good news, after suffering from earthquakes, heavy rains, volcanic lava, and a hurricane to top it off. Finding out that Southwest will be booking and flying it’s new Hawaii routes starting in September or October is excellent news. My wife and I have earned a Southwest Companion Pass for the rest of 2018 through the end of 2019. We plan to use it for some buy-one-get-one-free Hawaii flights! Now I’m interested to see what the pricing will look like, and when they will add new departure cities from the mainland. I’m really hoping for Portland or Seattle to be added soon after launch. Whether you knew about it or not (most don’t), the Chase Sapphire Preferred comes with a somewhat secret benefit. It’s cardholders have VIP Access privileges at many concerts, sports, and dining events. I have never looked into these in the past, but I’m going to start as some of the events sound pretty amazing. VIP Access at an Ed Sheeran concert in a luxury box for $300 sounds pretty cool… Having a special dinner at a Michelin Star restaurant… Yumm. Did you know about this benefit of having the Chase Sapphire Preferred credit card? ALSO: Chase Ink Business Preferred credit card holders also have access to some of the events. While I’m not a mom, my wife and I do want to have children soon, so this one hits home. Many people with kids claim that it’s impossible to travel once you have kids. I’m sure you’ve heard something to this extent before… Well, whether they mean financially or just the difficulty of added passengers who don’t always obey or even understand, I’m going to boldly say they’re wrong! No, I don’t have children yet to judge how hard it really is, but I’m gonna go out on a limb here and say we won’t stop traveling when we have kids. This article explains how traveling with her kids actually made her a better mom. Airplane seats that kill bacteria instantly? Sounds like people will be getting sick less from travel… Oh wait, aren’t some bacteria we carry good for us? I’ll let you decide for yourself whether or not these newly designed airplane seats are a good thing. Ok, this isn’t really travel related unless you consider driving to 7-11 travel… But, they’re giving away free 12 oz cans of Redbull at 7-11. All you do is click this link, input your phone number, and you’ll receive a coupon. Make sure not to redeem the digital coupon until you actually are ready to purchase the Redbull, because the coupon will only be valid for 15 minutes from that point. Keep that airplane air vent flowing! It may just prevent you from getting sick… did you know that those vents were originally made to clean the air from cigarette smokers on planes? I still can’t believe that was ever allowed… DISGUSTING! If you’re trying to meet a minimum spend for a credit card, or have a credit card that earns multiple points per dollar you’ll want to know about these two promos going on right now. I’ll be heading to both stores with my Chase Ink Cash credit card that earns 5 points per dollar at both. If you have a small business, or work independently you may find this article interesting. It describes a few ways that credit cards can help your business. As a small business owner, myself, I find this topic interesting and will be writing about it soon as well. The Chase Ink Preferred normally has one of the best introductory bonuses, but if this is true and the bonus is even higher than normal… Oh boy, jump on that if it is indeed true. 100,000 Chase Ultimate Rewards points can go a long way. No joke! I can think of four ways I could spend them… how about 4 round trip flights to Hawaii from the west coast. Let’s keep it going with increased Chase introductory bonuses! This one is for sure… Normally this card will give you 1.5 points on all purchases, but now they’ll give you double that in the first year of having the card. Three Chase Ultimate Rewards points per dollar on all types of spend is something to write home about! On to the list articles for the day. This one by The Points Guy and his peeps is a list of 10 things people decide to do while on vacation… Some good, some bad… All life changing. Next on the list of 10 articles is one about the best hotels around the world that will cost you less than $300 per night. $300 per night is pretty expensive in my book, so I’d sure hope they’re nice! This article shows which airlines have the most and least legroom. It also compares how the sizes of seats in many of the airlines have changed over the past 30 years. It’s kind of funny to me that over that 30 years while people seem to be getting fatter, the seats are getting smaller. Is Google going to make a run at in-flight wi-fi? Well, it’s uncertain, but this article explains why it may be a potential for the tech giant. I’d have to say, more options for wi-fi on planes would be a good thing. Sometimes in-flight wi-fi is a bit too pricey for my budget and maybe this will help. To end today’s Travel Blog News, I’ll leave you with this weeks travel contests and giveaways. You may think you’ll never win one because the odds are so bad, but it’s not true. Someone’s gotta win… why not you. I used to sign up for every travel giveaway I saw and I surprisingly won 5 or 6 giveaways, including 100,000 Starwood points which ended up giving me about 10 free nights at some great hotels. First up, we have a short article from Frequent Flyer Bonuses, that tells you about a Southwest Airlines promotion that you need to sign up for if you’re planning on flying with them before summer. Two words – DOUBLE MILES! Here’s one that’s been on just about every travel blog this week. It’s about a 60 Minutes episode that talks about an airline that’s not safe to travel on. Supposedly, many of their pilots don’t let their families fly the airline they work for. Hmmmm… who could it be? Maybe you’ve flown them. It’s US budget airline, Allegiant. Stay safe Travel Tribe. This travel news article shows you how it’s now possible to pay your rent with a credit card for a 1.5% fee. That may sound crazy to pay extra, but it could be useful if you’re trying to meet a minimum spend on a new credit card. Car rentals are always a difficult one for me. You don’t get a lot of value using your points on them, but it’s also sometimes hard to find a decent deal. I usually check Hotwire and Costco Travel, but will definitely be trying out the tricks I just learned in this article. Travel with Grant lists out quite a few travel mistakes that are easy to make. I’ve done a few of these, and I’m sure you have too. This will be a good reminder of how to avoid these travel mistakes in the future. Chase bank has a rule for many of their credit cards, where you will be declined if you’ve added 5 new credit cards in the past 24 months. This number is easily reachable if you’re a points and miles traveler, trying to rack up miles and points. Luckily this rule does not apply to ALL Chase credit cards. Here is a list of the Chase Credit Cards that DO NOT fall into this rule. Nothing is worse than getting sick while on vacation. I learned a few things from this blog post and I’m sure you will too. Here’s to never getting sick from being on a plane again! This one’s about saving money on food during your travels. My personal favorite way to save on food, is by staying at condos. With a kitchen, I’m able to pack snacks and lunches while on the go, and make meals for a majority of the trip’s dinners. Most condos also have public barbecues! Stopovers are when, instead of flying from point A to point C, you fly from A to B and spend some time visiting, then finish your route to point C. I need to start taking advantage of this more myself. Use them, or lose them. Well, sort of… Points and miles occasionally are devalued and end up not being worth as much in travel rewards. Also, if you have inactivity in your accounts, you may lose your points. Don’t let that happen. Trust me, I let some expire on accident recently and I’m still upset about it. When booking tickets, remember to always check alternative airports for both departure and arrival locations. If you’re having trouble finding a flight, every so often you’ll get lucky and this will save you. 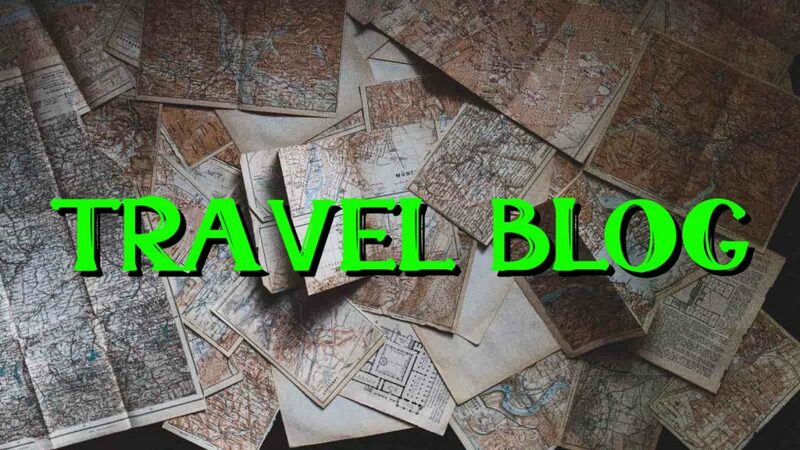 Travel blog ideas is an ongoing post that brings the best of the travel blogging world to you. Every day we read hundreds of blog post to look for the best. This Travel Freedom blog post will keep you up to date on all travel blog ideas from around the world. SPG Amex Review: Is This Credit Card Still Any Good? Chase QuickPay vs Chase Pay: What's the Difference? The 11 Best Flight Search Engine Options: Are They All the Same? Credit Score Range: How to Reach Excellent?